So guys, after a few months break WWE Mayhem returns by popular demand. There are a few bad points and good points. The bad points are you will need to re-register your username and all posts and threads have been wiped. Starting from fresh might not be a bad idea. The good points are obvious. Give yourselves a pat on the back and especially Mickify Me! because if you guys didnt keep bothering me to bring this place back I probably never would have. WWE Mayhem - A New Era In Wrestling Discussion FRESHERIZED..
Fuxn sweet, don't know if I'll be as active but it's always great to see this place back. Good job people. It feels damn good to be back home. Tried one or two sites when this place closed but it didn't feel right. What happened in the past is in the past and I for one am glad it's back. Thanks dale for bothering barry so much we got mayhem back. PWC was good for a while then people stopped caring. hopefully we can all keep momentum here. Glad that mayhem is back. I knew it would come back. Mayhem will never stay down for long! I am very happy to be back home. Life is better now. 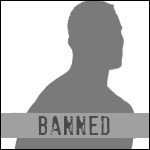 Doubt anyone remembers me, but I was a former supermod here from the well, I guess you can unsuccesful merge with Notorious Wrestling Forums. As stated, the past is in the past, good too see the forum back, and good luck.